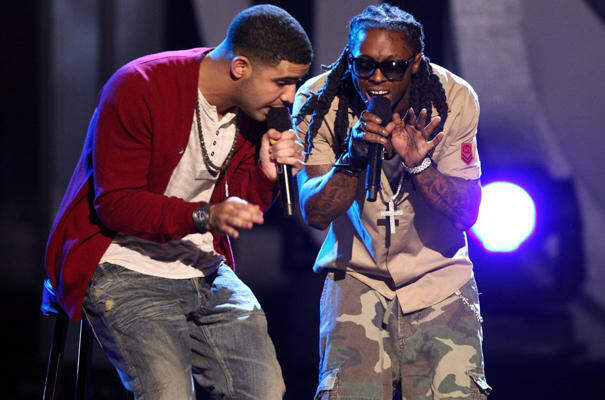 #3 Drake f/ Lil Wayne "Miss Me"
Best line: "Yeah, bills everywhere, trill everything/And Drake just stand for Do Right And Kill Everything." Complex says: With all his singing about girls he shouldn't talk to and solemn odes to his former life, you might get the impression that Drake doesn’t think too highly of fame. But on "Miss Me" Drake lives the champagne bottle life and spits lines like, "Every time you see me it looks like I hit the lotto twice," leaving no doubt as to whether or not he’s enjoying his time in the limelight. We just feel sorry for whoever gotta sweep up.